Analysis: Is Regulation Driving the Driver Shortage? Despite what the lyrics of the song “Convoy” may have you believe, trucking is not a struggle between law enforcement and long lines of big rigs. As an industry, trucking is highly focused on safety rates and efficiency, continually trying to innovate to improve delivery times and lower accident rates. For a country as large as the United States, shipping goods efficiently and safety is crucial to the economy. Over the course of the last decades, the industry has seen remarkable growth. With this expansion, however, comes increased regulation. The trucking industry is predicting solid growth in the coming years, but it faces hurdles caused by increased regulation and an ongoing shortage of truckers. The trucking industry is bracing for a new electronic logging device mandate, which is set to take effect on Dec. 18, 2017. After that date, all trucks will be required to ensure driver compliance with hours-of-operation regulations. On July 17, the House Appropriations Committee inserted language into the Department of Transportation fiscal 2018 funding bill to delay the mandate. The electronic logging device mandate exposes tensions within the trucking industry. The delay measure was praised by the Owner-Operator Independent Drivers Association but criticized by American Trucking Associations. Meanwhile, ATA called attempts to block the mandate “misguided” and a “nakedly transparent” attempt to block a rule that would improve public safety. This makes it even more concerning that young people are not moving into the trucking industry as a career. 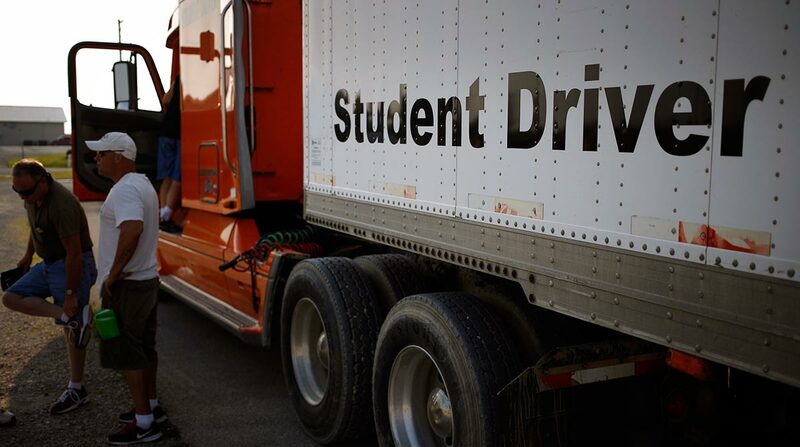 The number of 25- to 34-year-olds in the trucking industry has dropped by 50%, according to an ATA study. High turnover means that companies are struggling to make sure that trucks keep moving. As the economy recovers, the trucking industry is making important gains. According to ATA, in June, U.S. truck tonnage increased by 1.3% over June 2016, the result of choppy gains throughout the year. The industry is confident that demand for freight services will continue to be strong as both the economy and the country grow. In its annual forecast, the ATA predicted that freight volumes would increase by 2.8% in 2017 and projected 3.4% annual growth through 2023. Transportation is a complex business. As the trucking industry grapples with increased shipping demand, a driver shortage, and increased regulations, the costs of shipping may rise. On July 18, the Department of Transportation provided an update on its wireless connected vehicle pilot program, which is studying ways to use technology to reduce accidents related to weather and congestion in areas as varied as New York City, Tampa, and the state of Wyoming. Eventually, technology may be able to reduce part of the trucking industry’s labor gap. An agreement between the Virginia Department of Transportation, the Federal Highway Administration’s Office of Operations Research and Development and the private company that owns and operates the 95 and 495 Express Lanes outside of Washington, D.C., would allow for driverless vehicle testing on the roads.